Mere days before Christmas, Ms. Melanie received two job offers. I was over the moon ecstatic for her. 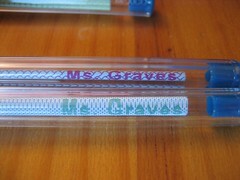 I had always wanted to give her the gift of personalized pencils for her classroom. 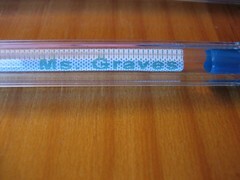 Given the timing of her employment, I couldn’t order pencils to present to her at Christmas. 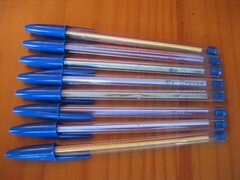 Instead, I recalled this tutorial and created personalized pens. 1. I used the dimensions in the tutorial for the paper pieces to create a template in Word. I created text boxes in that size, typed “Ms. Graves” and added backgrounds and colors. That meant I had everything for all the pens on one sheet of paper and personalized! 2. I tried using double sided tape, but it was kind of a fail. So I used a trusty UHU glue stick. This also ended up being the only Christmas gift actually delivered on Christmas Day since the USPS failed to deliver my package from Virginia on time.